Footrest uses SmartFit® System - Measure, Adjust, Fit. Workspace that works for you. 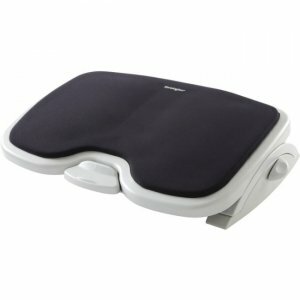 SoleMate Comfort soothes your legs and feet with a luxurious memory foam pad. Footrest is both height and angle adjustable. Set to your SmartFit personal comfort color for perfect, ergonomic positioning.